Toronto kitchen contractors who can both accommodate the design & build of your new kitchen along with the necessary renovation services and experience to build out your kitchen properly to avoid any costly change orders that may come up along the way is the best consideration a home owner can make when deciding on how to proceed to renovate their kitchen and/or home. 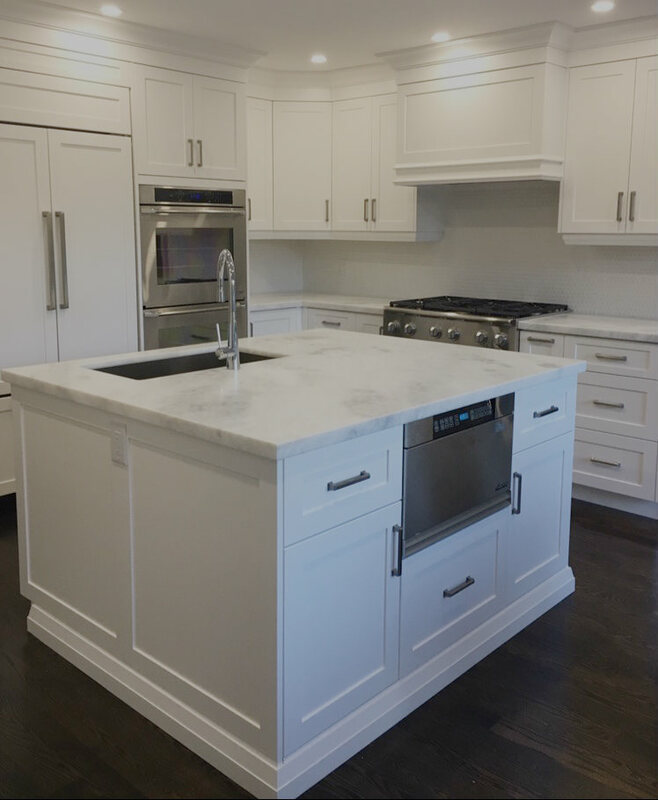 Toronto Custom Concepts often sees our kitchen clients try and go a cheaper approach on selecting a kitchen contractor only to find out the hard way that cheap sometimes is MORE costly in the end than taking into account all factors from the beginning. Think of this when you are evaluating kitchen contractors...make sure you ask very specific questions about previous projects where they have encounter some issues and challenges and ask how they addressed them. Ask about situations around working with existing mechanicals such as plumbing, electrical or structural issues and how they addressed those issues. Many kitchen contractors low-ball an estimate just to get a job but they have alternative intentions by 'change-ordering' their clients down the road, so ensure you ask about their change-order process. Also ask if your kitchen contractor offers a fixed bid estimate opition with a percentage allocated for overage to limit your cost exposure and risk. If a kitchen contractor can not properly estimate a job within 10% then that puts you at much more risk for project challenges (all things considered aside from unforeseen issues that come up out of the contractor's control). Toronto Custom Concepts works with you by clearly communicating to you various design considerations and potential issues that may arise in advance to set the right expectations. We will even help to provide you with a list of considerations to ask any kitchen contractor to make sure your kitchen renovation project will be a success!